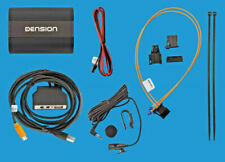 Dension Gateway 500S BT GW52MO1 USB+iPhone 5+AUX, Audi,BMW,Porsche,Mercedes. 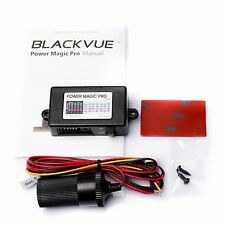 CHRYSLER JEEP DODGE RADIO CODE SUPPLY UNLOCK CODE SERVICE FAST!! DAB digital radio brings you high-detail digital-quality sound and great content; most of which is only available via digital radio. The Highway 600 is also Digital Tick approved so you can rest assured that you're ready for any future FM to digital radio switch-over. 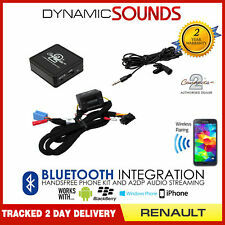 With this DAB Box, you can enjoy the superior audio quality of DAB in your car from now on! DAB is an upgraded version of the original DAB technology. It can be compatible with DAB as well. Android OS car stereo. DAB digital radio brings you high-detail digital-quality sound, great content, much of which is only available on digital radio. Highway 200 is also Digital Tick approved so you can rest assured that you’re ready for any future FM to digital radio switchover. Audio input:stereo. Audio Interface:3.5mm. 2.01 0.59 0.59 IN, 0.99 OZ. If you donot receive your order in. 3- From 0.1 to 0.2 % defect rate is expected in all products. Silent Coat 2mm Damping Mat uses mass loading to lower panel resonance and absorb structural vibrations. With military grade construction and highly effective damping, Silent Coat Damping Mat is already the choice of many automotive restoration and car audio professionals. High quality aluminium constraining layer for maximum noise reduction and sound deadening properties. Contains 40% more active material than the Dynamic sound deadening leader. PeaceMAT XS Damping Mat. Dodo Dead Mat Hex Sound Deadening 50 Sheets 50sq. ft Car Vibration Proofing. Dodo Dead Mat Hex is a self adhesive, foil backed sound deadening vibration damper. To maintain flexibility and ease of cutting we also employ our unique Hex embossing pattern. CD sound quality and noise-free in excellent transmission make DAB Radio a special experience in the vehicle. DAB is an upgraded version of the original DAB technology. It can be compatible with DAB as well. Dodo Dead Mat Hex Sound Deadening 40 Sheets 40sq. ft Car Vibration Proofing. Dodo Dead Mat Hex is a self adhesive, foil backed sound deadening vibration damper. To maintain flexibility and ease of cutting we also employ our unique Hex embossing pattern. Dismiss the hiss. The GI-L1 is your solution to ground loop buzz, hum, and other interference. •For car stereo : Connect the noise isolator between a Bluetooth car kit and car stereo by the included 3.5mm audio cable ;. USB DAB Digital Radio Receiver Box Amplified Aerial antenna Android headunit UK. 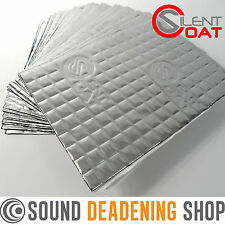 Dodo Dodo Dead Mat Hex Sound Deadening 12 Sheets 12sq. ft Car Vibration Proofing. Dodo Dead Mat Hex is a self adhesive, foil backed sound deadening vibration damper. To maintain flexibility and ease of cutting we also employ our unique Hex embossing pattern. This is the dab radio external box that only for Vicmax Andriod headunits(Wince system Head unit doesn't compatible with this DAB). Connect the USB stick with Vicmax Android head units, you can receive the DAB digital radio on your car stereo and enjoy the audiophile-level sound in your car. Description Type： DAB aerial converters Specifications: Converter Length: about 30 cm Input connector: DIN (Female) Outputs connector: FM/AM DIN (Male) connectors:SMB (Female pin) Package included:1pcs DAB radio converter Splitter Cable DIN Female to DIN male to SMB Female pin cable 30cm Advantages: Converts existing FM/AM aerials so that they can be used with DAB radios. DAB/DAB /DMB-A compatible Uses existing FM/AM aerial. Retains original appearance of vehicle Small, neat and hidden..
1 x Noise Isolator(No other accessories). Audio input: stereo. Audio Interface: 3.5mm. Size: approx. 2.01 0.59 0.59 IN, 0.99 OZ. Frequency response: 20HZ-20KHZ. Working Principle. USED BY PROS, FLAME RETARDANT,2MM, FREE UK SHIPPING! Enough to do 1 pair of small/medium car doors on both the inner and outer panels. 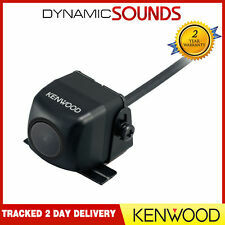 Better and cheaper than Dynamat and other competing products!... Length: 6'8" (2.03m), Width: 18" (45cm) & 51 mils (Approx. 1.3mm) Thick, Self-Adhesive Mat. Provides Heat Resistance from -54°C to 149°C and Fully Water Resistant along with Chemicals and Salts - Reduce Distortion, Stop Rattles, Vibrations & Noise to Gain Unbelievable Sound Quality. Quieten Road Noise, Loud Exhausts, Engine, Gearbox & Transmission Noise - With Waxed backing paper for easy fitting, also comes with simple fitting instructions and minimal, recyclable packaging. 1 x Fakra Female to 1 x ISO Female. 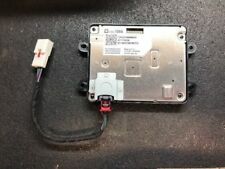 This adaptor is commonly required on Audi/VW where the original radio has an integral booster for the aerial connection. 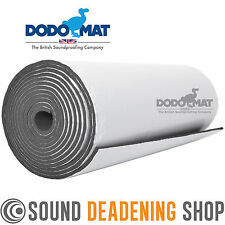 Dodo Dodo Dead Mat Hex Sound Deadening 20 Sheets 20sq. ft Car Vibration Proofing. Dodo Dead Mat Hex is a self adhesive, foil backed sound deadening vibration damper. To maintain flexibility and ease of cutting we also employ our unique Hex embossing pattern. Silent Coat Noise Buffler 20mm Under Bonnet Sound Proofing. The Silent Coat Noise Buffler is a noise absorbing blanket made with a special formulation acoustic material, 20mm thick, with an aluminium foil face and a self adhesive backing. Dodo Dead Mat Hex Sound Deadening 30 Sheets 30sq. ft Car Vibration Proofing. Dodo Dead Mat Hex is a self adhesive, foil backed sound deadening vibration damper. To maintain flexibility and ease of cutting we also employ our unique Hex embossing pattern. DAB is an upgraded version of the original DAB technology. It can be compatible with DAB as well. CD sound quality and noise-free in excellent transmission make DAB Radio a special experience in the vehicle. 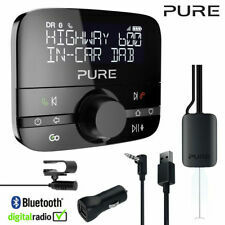 With this DAB Box, you can enjoy the superior audio quality of DAB in your car from now on! DAB is an upgraded version of the original DAB technology. It can be compatible with DAB as well. 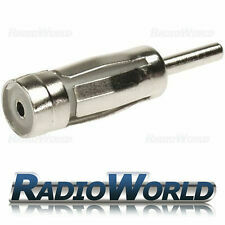 The included antenna itself is advanced with amplified function, high sensitivity, use the MCX port to connect. Sound deadening and thermal insulation in vehicle interiors. High quality flexible butyl and aluminium design. 2mm thick and 3.8Kg/m2 providing more deadening/weight than inferior products. Nominal Thickness: 2mm. 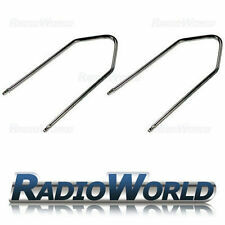 For AM/FM Reception. Flexible Base with M6 6mm Female Thread (M5 & M6 5mm/6mm stud adaptors included). Anti-Noise OEM Design. Suitable for countries which have DAB signal - Belgium, Czech Republic, Denmark, France, Germany, Gibraltar, Ireland, Italy, Kuwait, Malta, Monaco, Netherlands, Norway, Poland, Slovenia, Spain, Sweden, Switzerland, United Kingdom, Australia. RattleMatt Sound Deadening. RattleMatt can be applied on any interior panel, but is most effective on larger panels such as Here at RattleMatt we strongly believe this to be the best product currently on the market for value for money. CODES ARE AVAILABLE ONLY FOR NEXT MODELS :RCD 310, 300, 200, 210, 215, RNS 300, 310, 315&MANY OTHERS. 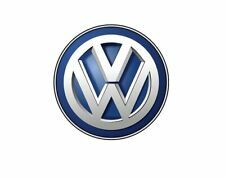 TO UNLOCK YOUR VOLKSWAGEN CAR RADIO, I NEED SERIAL NUMBER BEGINNING WITH VWZ (VWZ 11 SYMBOLS) FROM THE LABEL OF THE RADIO. 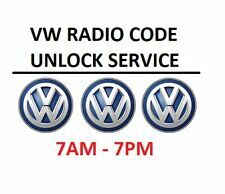 NISSAN CAR RADIO UNLOCKING SERVICE CODES ARE AVAILABLE USUALLY IN 10 MINUTES - 1 HOUR AFTER I RECEIVE THE RADIO DETAILS. Enough to do all 4 doors of an average car (Focus/Impreza) or 2 large doors on the inner and outer panels. Better and cheaper than Dynamat and other competing products!... Length: 13'4" (4.06m), Width: 18" (45cm) & 51 mils (Approx. 1.3mm) Thick, Self-Adhesive Mat. Provides Heat Resistance from -54°C to 149°C and Fully Water Resistant along with Chemicals and Salts - Reduce Distortion, Stop Rattles, Vibrations & Noise to Gain Unbelievable Sound Quality. Quieten Road Noise, Loud Exhausts, Engine, Gearbox & Transmission Noise - With Waxed backing paper for easy fitting, also comes with simple fitting instructions and minimal, recyclable packaging. AutoMute Sound Deadening Roller. Ensure proper adhesion when applying AutoMute sound deadening. Roller head is 50mm wide. Sturdy wooden handle. 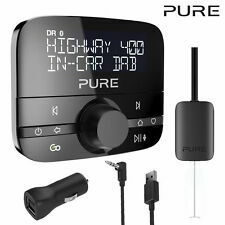 DAB Digital Radio Box Aerial Amplified Kit For Android 6.0/7.1/8.0/8.1 Car Stereo.